There have been some very interesting developments on the surface of our planet lately. According to reports, the developments off planet are just as, if not even more, interesting than what we are seeing Earth-side. If we have read and examined the recent update written by David Wilcock and Corey Goode, we will know the possibilities of how interesting things might be at present within the various secret space programs. To add, the interviews which corresponded to this update seemed to be equally thought-provoking as the update itself. As we may know by now, this interview hit a few snags the first time around, with regard to Corey's health. However, David Wilcock and Jimmy Church covered the task like true professional improv musicians. The show went off without a hitch, and not only were we the audience surprised at how the smooth the last-minute change was, but it sounded as though Wilcock and Church were equally surprised. The interview with Corey himself was just as interesting as the one which David Wilcock covered. However, Corey's interview was more focused upon specific aspects of the story as well as answering listener questions. This allowed us to receive greater details from Goode which the time-frame of the previous coverage did not allow. In contrast, the interview with Wilcock gave more of an overall perspective on the pertinent update. Personally, I found both interesting, though I would definitely recommend investing the time to read the entire update as well. It will definitely be worth it. 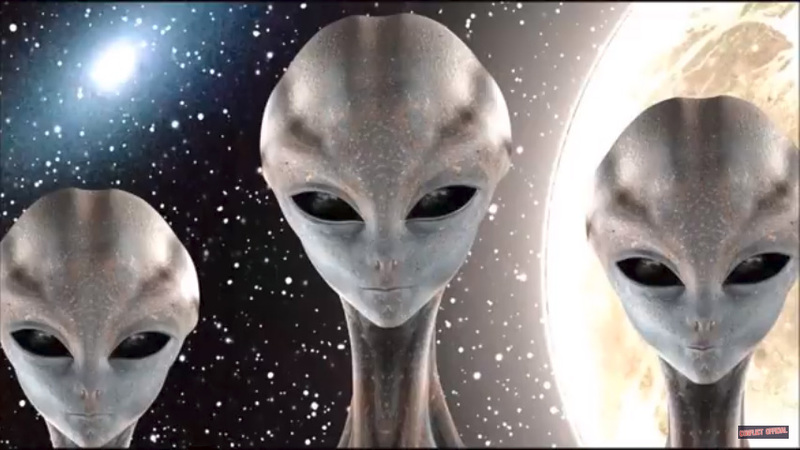 As we may remember, it was in 2015 when covert interests behind secrecy and partial disclosure began spreading fear propaganda on social media like never before. This was one of several predictions from Goode's sources which ended up coming to pass. After this, Corey predicted a ramp up in these efforts by the establishment to attack truth communities online, and we saw this take place as well. Then one or two more ramp-ups were predicted, and later came to pass. Finally, Corey predicted that the partial disclosure narrative was going to be pushed forward by the corporate media, and right on que (after a few months), the corporate media began their campaign of partial and soft disclosures en mass. We may also remember when Goode shared that before the partial disclosure could take place, that covert interests needed to squelch any and all narratives that offered more information than the partial disclosure narrative. Only a few months afterward, we met the Dark Alliance. Goode mentions the way negative interests typically cooped any and all positive imagery and symbolism that they can. They then flip the imagery and turn it into something negative and contrary to its original meaning. This is the exact same thing which the Dark Alliance has habitually demonstrated. For example, Corey has stated from the beginning that nothing he said was meant to be turned into a religion. He stated that he was not a guru and that he did not have all the answers, and yet D.A. has been religiously spreading the rumor that Corey is "starting a religion." Corey has told us about his inspiration from his Christian upbringing and how he has learned to energetically clear himself by invoking the name of Jesus (but also states that there are many other ways to do the same thing). However, the D.A. says he is a "Satanist." Corey told us how he was outed against his will by untrustworthy people whom he originally trusted to keep his identity secret. This caused him to lose his I.T. career (as mainstream tech companies don't' typically allow outspoken UFO-truth advocates to access their data) and created the need to seek other means to support his family. Yet the D.A. said that he came forward simply to "get attention" and to "get rich." From these actions, it appears that there is nothing that this Dark Alliance won't demonize and criticize for the sake of further ad hominem (very similar to the Illuminati cult). However, those who value firsthand information and who know how to stay clear of empty gossip, these rumors will not effect their responsible and objective search for truth. The latest script being spread about Goode and all of those who frequent his material is a rehash of the old material—that being that Goode is "spreading a religion" and is a "cult leader." Basically, the D.A. is claiming that everyone is a cult member who has appreciated Corey's efforts. The strange part about this rehash is that no interviews or questions are ever presented to those accused. When I was accused personally, my accuser was a complete stranger who knew nothing about my life at all. My day-to-day activities are a complete mystery to anyone online and I keep it that way. So there would not seem to be any logical reason for a stranger to dictate my own reality to me. In seems that in this way, the D.A. has deviated even farther from practical journalistic standards than they were before. To my knowledge, I am not the only person who has supported Corey who has been treated this way. It strikes me as particularly unhealthy that this handful of people have turned to such low standards of conduct. In my experience, these individuals do not attempt to learn what is true before spreading rumors like wildfire. The proposal that virtually any disclosure could open the door to greater revelations was somewhat surprising to hear at first. The goal of a full and complete disclosure has been an exclusive goal for many people in the truth community today. At first, the proposal that even a partial disclosure could be a positive step seemed like a significant change of pace. However, it does seem that any change which opens the door for truth even a fraction of the way could be tremendous for the sake of complete disclosure. The reason this seems to make sense is that in order for humanity to be free, we must work together in unified efforts to free ourselves while disallowing any opposition to distract us from our collective goal of complete freedom. It makes sense that there would be a chance to still work together even though others do not make a conscious effort to work with us. There partial contribution may help to compliment our efforts, and the combination of our collective efforts could lead to complete breakthrough. It was Corey Goode who first helped to bring attention to the concerning issue of UFO religions. One of the first time he mentioned this was during the first episode of Cosmic Disclosure. Another significant instance when Goode stated this was after his reported visit into the Inner Earth: Into the Hall of Records of Inner Earth. During this episode of CD, Goode stated how some believed that the translations of Zecharia Sitchin of ancient Sumerian text were perfectly accurate. Goode claimed that these translations were largely fabricated by Sitchin who was being fed information from Illuminati interests. This was a difficult notion to digest for many, but it did allow many people to rethink their own belief systems which may have been dependent upon the notion of the Anunnaki and other ancient tales. This is another strange part about the negative rumors being spread about Goode in these ways. It seems that Corey refuted most of these accusations before any of the critics were paying attention. One of the major concerns created by the D.A. came from an article written by Dr. Michael Salla. The article was well-written and descriptive on the subject of a possible religious disclosure. This was one of the possible disclosures which Corey stated might take place. In my observation, the information from Goode about a possible religious disclosure was stated objectively. It was not stated as a necessarily positive thing or a negative thing. With this recent goal of getting a foot in the door of disclosure, it would seem that any disclosure might be a good thing, granted the people did their part at forcing the establishment to tell the rest of the truth and to drop the religious agenda. This goal of collective personal involvement was one of the main points of Corey's original message. However, this detail was completely ignored by the Dark Alliance initially, and seems to remain a point of ignorance up to this day. What Good Would Brainwashing Be? Goode made an interesting point when he addressed the possibility of his being brainwashed. It has been clear that certain interests do not want him speaking. It has also been interesting to hear the responsible criticism of some of goods material. However, not much of this criticism has been very responsible. Richard Dolan made a good point that much of what Goode says is difficult to evaluate scientifically. Yet at the same time, we know that there is much more to evaluation than science lends credence to. The fact is that we do not necessarily have to believe everything Goode or anyone else says. The choice of belief or disbelief is completely ours, and to my knowledge, there is no right answer as some may think. There is, however, a responsible and ethical means by which we can gain information. This method of gaining accurate information does, in fact, have a particular procedure. Many people choose to hold to this responsible standard, but some don't. Some don't care whether or not they are responsible or not, and this is their right as well. So getting to the interesting point which Goode made, this was in reference to the illogical belief that he was brainwashed to share truth that various SSP interests did not want him to reveal. I would add to this argument that if the Reptilians could not communicate with the positive SSP (as stated in the recent interview with David Wilcock and Jimmy Church), then the Draco, the SSP, and multiple Earth interests could not harm Goode in any way unless they wanted to receive retaliation from all three parties. This is not to say that I think Goode is "on the side" of the Draco, but to make the point that they are merely one of many parties that consider Corey's connection with other groups to be advantageous to them. This may have been why Goode was such an effective distraction for the combative Draco in the tank on the Mayan ship. The bottom line seems to be that it does not matter what our individual beliefs are. As long as we are able to maintain focus and ensure that the entirety of the truth comes forward as, this seems to be the best course of action, whatever our beliefs may be. By our diligence, personal integrity, and responsibility, all paths may lead to a full and complete disclosure. My hope is that we embody each of these traits in the coming days and weeks, as it seems that disclosure is not far off.